Strassburger McKenna Gutnick & Gefsky has helped businesses in Pennsylvania, Ohio, and West Virginia resolve thousands of legal matters outside of court since 1919, but we are most proudly known for our prowess in conducting thorough, hardnosed, results-oriented commercial dispute litigation. Our attorneys bring extensive case strategy and trial experience, but we are also comfortable working with in-house counsel to ensure your organization’s reputation and overall litigation strategy and budget are represented in the recommendations we make and actions we take on your behalf. Our attorneys recognize the need for cost control and assay the pluses and minuses of alternative dispute resolution and embrace the latest technologies to efficiently manage the vast amount of information essential to the prosecution or defense of any business or commercial dispute. Litigation is essentially an investment, requiring vision, selectivity and due diligence. 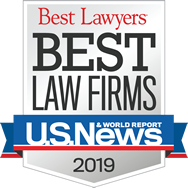 Strassburger McKenna Gutnick & Gefsky commercial attorneys competently represent your enterprise’s best interests in pursuing issues that matter the most to your business’s short- and long-range goals. To learn more about the ways we make for a formidable business ally, contact Harry F. Kunselman at hkunselman@smgglaw.com or Gretchen E. Moore at gmoore@smgglaw.com.